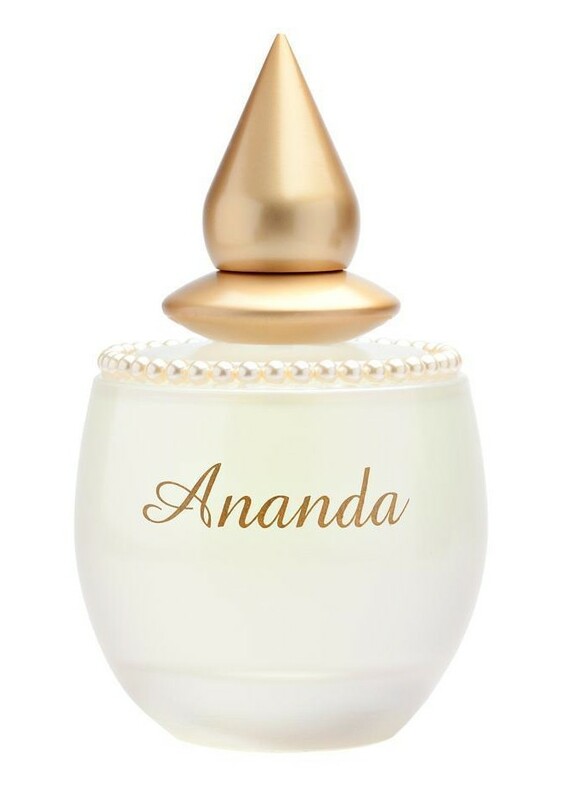 Ananda was one of my first perfume purchases in the niche arena. I fell in love with the frosted glass bottle decorated with Swarovski crystals. Notes are listed as lemon, plum, pear, blackcurrant, rose, mimosa, violet, ylang, jasmin, vanilla and white musk. As far as I am aware, Ananda is a European exclusive. Technically I am a ‘winter’ baby as I was born in Argentina in August. But I consider myself a ‘summer’ baby as we moved to the northern hemisphere when I was very young and only remember my birthdays being hot. We lived in Greece, Italy and the southern part of the US and I did not experience a true winter until I moved to Washington, DC for my university years. Vienna is now my home and has been for almost nineteen years! But I am extremely fortunate to have a husband who has to travel to Fort Lauderdale for work once a year and he always wants me to go along. His meeting is scheduled annually at the end of April or beginning of May and it provides a wonderful transition from the cold, dark and grey winter in Vienna, to summertime, which is glorious. Beach vacations are going to become a necessity in our family. 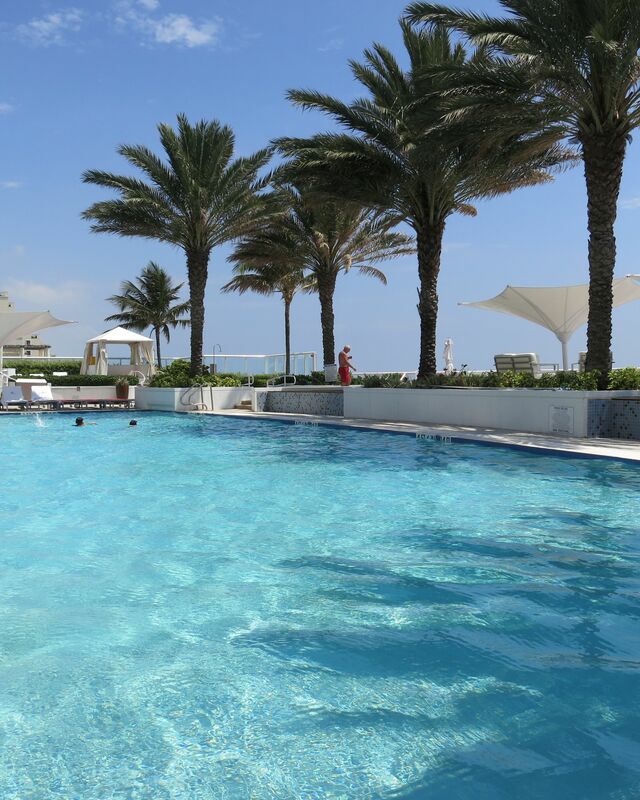 This is the first in over ten years that we are not traveling to Fort Lauderdale in the spring (the meeting was scheduled in Seattle this year) and I was left searching for my “sunshine and sitting by the pool with an ocean breeze blowing through my hair” perfume. I rummaged through my perfume closet to pull out Ananda to bring some warmth to this chilly late spring day. Upon first spraying Ananda I smell a lot of plum and blackcurrant. The lemon must be there but I am unable to detect it. It is such a beautiful opening that it brings back memories of Fort Lauderdale. 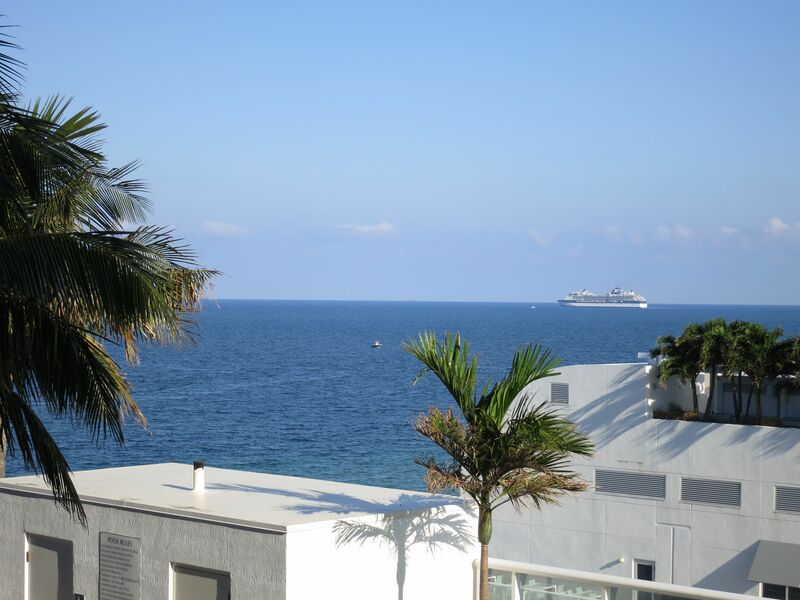 Memories of long walks on the beach, of languid days by the pool, watching the pelicans soar above and ordering the fruit platter, or watching the multi-million dollar yachts on the waterways. For a very brief moment it calls to mind another favourite perfume of mine, By Kilian Liaisons Dangereuses with its edible plum note. The plummy opening moves to a floral heart tinged with fruity sweetness and the perfume moves into a quite literally blissful fruity floral bringing forth memories of long summer days, sitting by the pool or the beach and eating the ripe fruits of the season. It is not a perfume that I can wear year round as the weather in Vienna is just so darn cold compared to what I was used to my whole life prior to moving here. But after a long and drawn out winter like the one we had, I pull out Ananda and look forward to the two or three months of summer that we will hopefully get. It puts me in the right frame of mind so that I can prepare myself for sandals and skirts. Ananda is quite tenacious and lasts a good 9-10 hours on my skin. Around the 5-hour mark I start to get more vanilla and musk, but never does it lose that lovely plum, rose and violet combination that I love so much. As this is a European exclusive, I would love to share some of my bottle with one reader who is not living in the EU. Please leave a comment on this post stating your home country to be eligible for the draw. The draw is open for one week, a winner will be selected using random.org and posted on this blog. This entry was posted in By Sandra, Fragrance Reviews, Parfums M. Micallef and tagged Ananda, floral, Fragrance, Micallef, Parfums M. Micallef, Perfume, Review, White floral. Bookmark the permalink. I am in Slovakia, would be interested in Ananda. I have a few Micallef´s fragrances and all of them are of high quality. Many thanks! I am a fan. Have you tried any Micallef perfumes? I have Aoud, and love their patchouli: that jasmine tuberose thing was kind of gorgeous too. There is something quite distinctive about them. That’s the one I mean! That ultra sweet jasmine tuberose! I had a bottle given to me and gave it to my sister. Now I really wish I hadn’t. It is a dreamy perfume indeed. I live in the US, in the Northeast, and I can relate having a really short summer. We’ve had some awful weather and had the heat on just the other day. Today it’s supposed to hit 90°F. Instantly it’s summer. Please send some of the warm weather our way. We are bundled up today drinking tea to warm up. I am putting my foot down and not heating! Sounds perfectly lovely! I’m always happy to discover a beach scent (I tend to collect those – not consciously, I just fall in love with them so they come home with me). I wish I had a beach at the moment. Ananda is the next best thing! Sandra, I live on the west coast of Florida, in Fort Myers. experience this European exclusive! Thanks!! Fort Myers is wonderful! I love Florida. I live in MN, and even for us, the winter was especially long this year! We are getting a lot of rain, no Sun, and cool temps. I am hoping we get a little spring before it gets to our 90 degree and humid summer. Ananada sounds lovely, and unlike anything I’ve tried. I feel for you. My sister is in WI and has the same complaints. The heat will come soon. I don’t know how this has slipped under my radar, it sounds lovely! I have sampled only a few Micallef fragrances, I am in Australia. I am a fan of their perfumes. Have you tried any? Sorry Jackie I wanted to ask which have you tried? I’m a summer person, and would dearly love to try this. I live in the US. Hi! I live in the U.S. – Miami, Florida to be exact… Not far from Ft. Lauderdale and the beautiful boardwalk beach in Hollywood. Thanks for this post that’s so close to home y gracias por la recomendacion. Ahora tengo la curiosidad de probar Ananda. Summers are wonderful aren’t they! Hey Sandra, thanks for a lovely article, I have not tried any Micallef and would love to try Ananda as we have long summers. I think it will go very well with our hot climate. i live in South Africa. Beautiful country! Must travel there soon. So many beautiful places in this world! Summer for the majority of the year sounds sublime at the moment. I have never sniffed any Micallef fragrances and would love to enter the draw. The violet notes in Ananda sound tempting. Saludos Caro! Does Micallef sell their perfumes in BA? They have some beautiful perfumes. We don’t have a lot of niche options here except for the most commercial lines (Bond, Creed, Goutal and JHAG) and Fueguia. You can actually get Ananda in Seattle, at least I saw it there a few months ago. Parfumerie Nasreen on First Avenue ha an extensive collection of M. Micalieff. I received my sample of my Ananda there. Thank you for the information. I have heard that Parfumerie Nasreen is lovely. It is a very nice place. And Nasreen herself.. I shall mentally send you some of the heat and humidity from here in Mobile, AL. I would very much enjoy trying Ananda, it sounds lovely. Thanks for the opportunity! Thank you for that! Mobile must be in the throws of summer already. Ananda sounds very interesting. I have never tried any of the Micallef perfumes, and everything I’ve tried with a violet note has also had a lot of iris, which is so far not a favorite of mine. I live in the USA, in Southern California, and I’d send you some sunshine if I could. We could use more rain! This has no iris. Micallef has several pretty perfumes. I live in Texas and it’s been hot, sunny and dry but nothing beats the fresh breeze off the ocean. In fact, I could happily spend my days gazing out at the ocean and walking along the beach. I’d love to try Ananda – it sounds wonderful! Thanks for your generosity! Walks along the beach with the ocean breeze is what I miss! Don’t include me in the draw, Sandra. I just wanted to tell you how much I enjoyed your musings on summer and your sparkling photos of Florida!! I have a mom and sister who live on the Gulf Coast side of Florida, and it is beautiful. Lucky you! The Gulf Coast of Florida is even more beautiful than Fort Lauderdale. 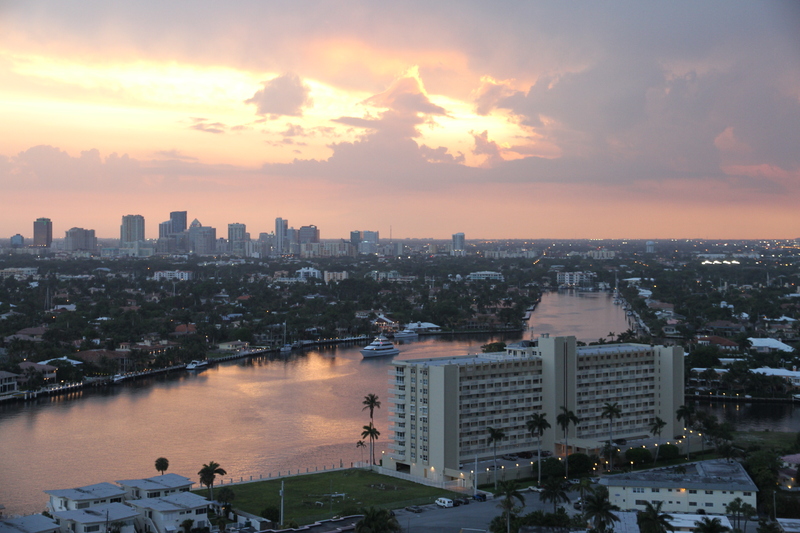 The yachts in Fort Lauderdale are stunning. Sounds like just what I’m looking for in a summer scent! I would love this! I live in The US- CA. It is a wonderful perfume for CA! (longtime reader, first time poster here). I know which meeting you’re referring to! I live in the northeastern US and late April/early May is always grey and rainy and miserable where I am. Stepping off the plane in Ft Lauderdale was always heaven. I’ll definitely miss it (Orlando isn’t the same). I’d love to be considered for the draw! Although I live in the northeast United States, I don’t enjoy cold weather at all. The older I get, the more I want to move to a place where it’s summer all year round! I’d love to try a fragrance that evokes this feeling.